On Tuesday 10-14-2014 at 6:56 PM, Lapeer County Sheriff’s Deputies responded to an injury traffic crash on Clifford Road to the east of Lake Pleasant Road in Clifford (Burlington Township). Corey Blatt age 33 from Marlette was driving a 2000 Ford Expedition westbound on Clifford Road. It was after dark and raining when the crash occurred. Blatt failed to navigate a curve and departed the north side of the roadway. The vehicle subsequently vaulted and rolled multiple times before coming to rest within a field on its driver’s side. Blatt was not wearing a seat belt and partially ejected from the vehicle. Blatt was pronounced deceased at the scene. Three passengers (Carman Yoder age 48 from Marlette, Vaugn Savage age 45 from Marlette, and Kyle Bussure age 23 from Marlette) were transported to McLaren- Lapeer Region with non-life threatening injuries. The Lapeer County Sheriff was assisted at the scene by North Branch Police Department, the Michigan State Police Lapeer Post, Burlington Township Fire and Rescue, Marlette EMS, and Lapeer County EMS. The roadway was closed for 2 ½ hours for rescue and investigative purposes. 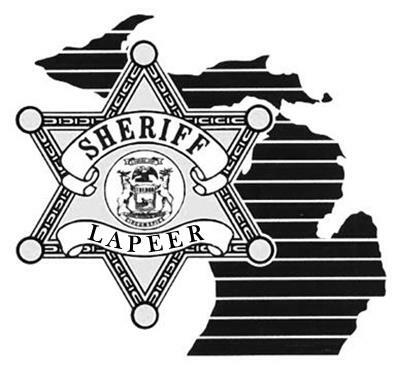 Alcohol and excessive speed appear to be factors in this traffic crash which remains under investigation by the Lapeer County Sheriff’s Office. Anyone with information is requested to contact Detective Sgt. Jason Parks at 810-245-1381 or jparks@lapeercounty.org.